Click Here to Download the January 2019 Detachment Newsletter PDF. The next Belk Charity Sale, the biggest brand name discount sale of the year, will be held from April 11th thru May 4, 2019. Marines from Detachment #873 of the Marine Corps League will be selling tickets at the Belk Coastal Grand Mall location from 10:00 until 4:00 Thursdays through Saturdays. Stop by and see us – you can’t take advantage of the sale without a ticket. Tickets are $5 and you get your $5 back through a direct deduction from your price when you make a purchase – in addition to the sale discount! The 244th Marine Corps Birthday is November 10, 2019. Detachment #873 holds a Birthday Ball each year to celebrate the occasion. Information on the 2019 Birthday Ball will be forthcoming on this website. 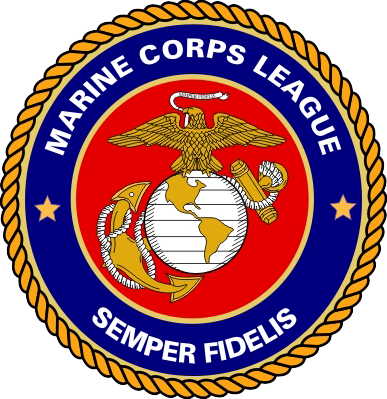 Marine Corps League Detachment #873 newsletters published quarterly. 2018 - Year In Review. Items and information specifically linked to the National and Divisional organization levels. This item requires regulation buttons which are not included. Unite and show support for veterans of the Grand Strand in their time of need. Keni Thomas, decorated U.S. Army veteran-turned-country musician, will serve as Grand Marshal of the 2019 Military Appreciation Days Parade at The Market Common on Memorial Day weekend. Staff Sergeant Thomas is a veteran of the intense Mogadishu, Somalia action on October 3rd, 1993 (later recounted in the book and movie 'Black Hawk Down'). This package contains documentation supporting this extremely worthy program which is sponsored by MCL Detachment #873.
Who will be the 38th commandant of the Marine Corps? It could be one of the generals in this document.